“Cutie” is exactly what co-workers will say when you walk into work after an appointment here. 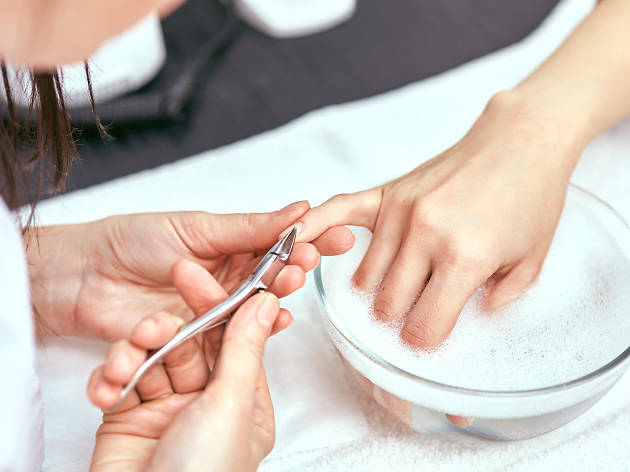 The service alone is worth the visit (the technicians will gleefully help you sort through different shades), but it’s the quality of your slick, smooth, perfectly shaped nails that you’ll remember. The unbeatable $20 mani-pedi keeps your wallet happy, and with nails that are (virtually) chip-proof, it’s the gift that keeps on giving.